​​Non-delegate tickets are available for $25 + service fees (general admission). 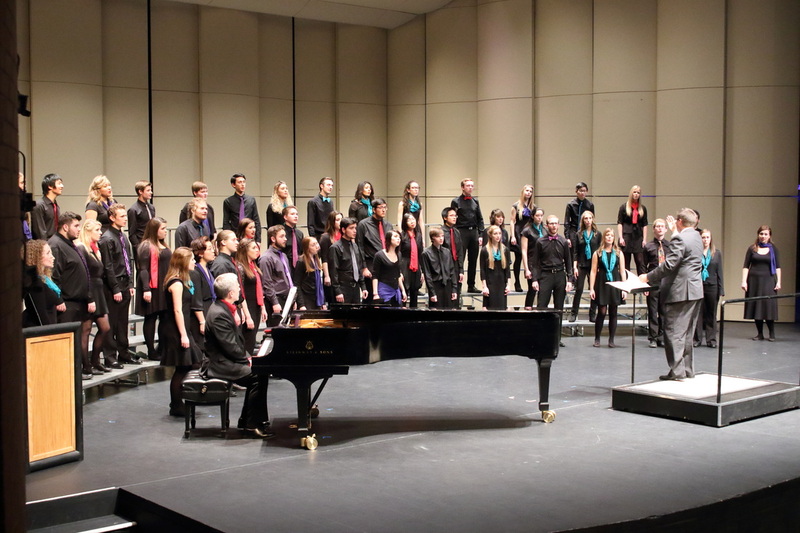 The Alberta Youth Choir is the province's honour choir for singers ages 16-22. AYC provides a unique opportunity for outstanding young singers from across the province to join forces in the pursuit of excellence in choral music under the direction of a renowned conductor.​ This year, 70 choristers from 30 different Albertan choirs will come together under the direction of Dr. Cristian Grases, Associate Professor of Choral Music at USC Thornton. Following their three day residency and performance at Music Conference Alberta, AYC will embark on a two day tour of northwestern Alberta. Cristian Grases joined the USC Thornton faculty in the Fall 2010 semester and is currently an associate professor of choral music and conductor of the USC Thornton Concert Choir. Born in Venezuela, he earned degrees from the Simón Bolívar University (MM) in Caracas, Venezuela, and the University of Miami (DMA). He has previously served as interim director of choral activities at Central Washington University; assistant professor in choral music at California State University, Los Angeles; and national coordinator of choirs for EL SISTEMA under Maestro José Antonio Abreu. He also served as conductor for the Women’s Chamber Ensemble of the University of Miami, was the assistant conductor of the Miami Symphony Orchestra under Maestro Eduardo Marturet, and the conductor of the Young Musician’s Orchestra. Additionally, he is an award-winning conductor and composer, and has been commissioned to write for several prestigious organizations such as the Piedmont Children's Chorus and the Santa Fe Desert Chorale. Most recently, Dr. Grases has started a new Choral Series entitled “The Choral Music of Latin America and the Caribbean” published by Gentry Publications as an editorial outlet for new Latin American choral repertoire. ​Winner of the 2018 AMEF Student Recognition Award for Community Service, Julia Chau is 17 and is currently studying with David Tutt at MacEwan University Conservatory of Music. At the age of 12, she received First Class Honours with Distinction for her RCM Grade 10 piano exam and the highest mark in the Edmonton region. She completed her ARCT in Piano Performance with First Class Honours in January of 2016. Julia was a two-time Canadian Music Competition National Finalist in 2013 and 2014. ​Julia enjoys using her musical ability to help out in the community, and is a member of the Heart of the City Music Program, where she has volunteered as a piano teacher, performed at the annual fundraising concert, and participated with the HCMP Performance Troupe. At the age of 14, she held a fundraising concert with her sister to support the MacEwan University music scholarship fund. She has performed at hospitals, senior's residences and various concerts through the MacEwan University Conservatory of Music. ​Rena Far has been studying violin with Prof. Edmond Agopian at the University of Calgary since 2014. She began her musical studies at age four with Keiko Takahashi, and has since achieved success in many music festivals and competitions, including winning first prizes at the 2015 RBC Concerto Competition and the 2016 Alberta Provincial Music Festival. She has been featured on three occasions as soloist with the Calgary Philharmonic Orchestra. ​In addition to her solo studies, Rena is an active and dedicated chamber musician, having recently performed with groups such as the UCalgary String Quartet, UCalgary Klezmer Band, and New West Piano Trio. Through her participation in the Calgary Pro Musica Society’s Young Artists Development Program, Rena performed a series of community outreach shows at local elementary schools, and worked closely with world-renowned chamber musicians including members of the Jerusalem String Quartet, London Haydn Quartet, and Danish String Quartet. An experienced orchestral musician, Rena has served as Concertmaster of the UCalgary Orchestra and the Calgary Youth Orchestra. Rena also performs frequently as an extra musician with the Calgary Philharmonic Orchestra, Red Deer Symphony Orchestra, and various other local ensembles. Rena is an alumna of the Amici String Program, through which she participated in masterclasses and fostered her interest in chamber music at an early age. She holds an ARCT Performer’s Diploma from the Royal Conservatory of Music - First Class Honours with Distinction. Outside of music, Rena is a frequent recipient of academic scholarships and awards as a Bachelor of Health Sciences student at the University of Calgary. Jacqueline Dawson received undergraduate degrees in music and music education from Memorial University of Newfoundland and holds a masters degree in conducting from the University of Manitoba where she studied with Dale Lonis and Earl Stafford. Jacquie is currently Assistant Professor and Director of Bands at the University of Manitoba Desautels Faculty of Music where she conducts the Concert Band and Wind Ensembles and teaches courses in music education. She also serves as Faculty Advisor for music education student teachers. Prior to her appointment at the University of Manitoba Jacquie taught in public school for twenty years and served as a sessional instructor at the University of Manitoba. Jacquie is in demand as a guest conductor, clinician and adjudicator across Canada, appearing at numerous festival and conference coast to coast. 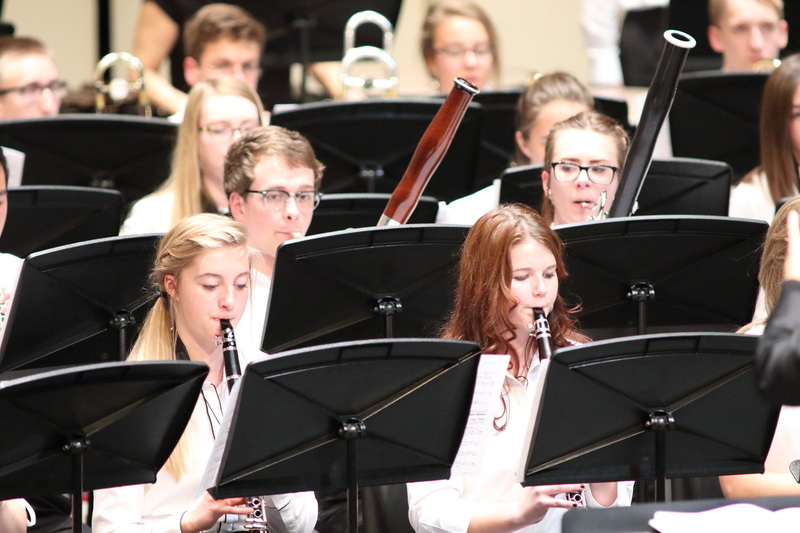 Guest conducting engagements have included the Winnipeg Symphony Orchestra, Rising Stars Manitoba Senior Honour Band, the Manitoba Intermediate Honour Band, the Manitoba Junior Honour Band, the International Music Camp, and numerous provincial, regional and divisional honour bands. Jacquie was awarded the 2003 University of Manitoba School of Music Excellence in Music Education Award, the 2013 University of Manitoba Teacher Recognition Award and the 2015 Manitoba Band Association Award of Distinction. Jacquie is in her ninth season as Artistic Director of The Winnipeg Wind Ensemble. Under Jacquie’s leadership the group has expanded in infrastructure, artistic standard and programming, and recently launched a new division of the organization, The Winnipeg Youth Wind Ensemble.